Nigeria and other ECOWAS member states have said that a deadline for an adoption of a single currency for the region is fast approaching. This decision is to strengthen the sub-regional economic integration and development and could also be implemented through the economic policies of member states. This was one of the main issues discussed at the technical meeting of the ECOWAS Macroeconomic Policy Committee on Multilateral Surveillance in Abuja on Thursday. 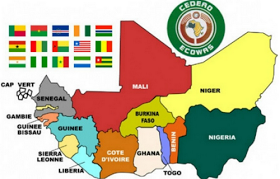 However, the depreciation of the naira and other economic challenges affecting member states have slowed down ECOWAS economic integration and the adoption of a single currency. The out-going Chairperson of the committee, Ms Ommy Sar Ndaiye, said that it was pertinent for member states to develop strategies to address the prevailing economic challenges.